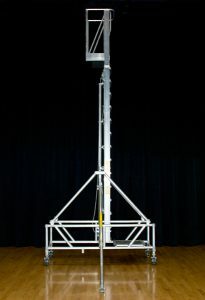 Aluminium Access Products are the sole manufacturer of the Tallescope. 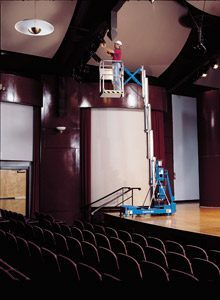 A telescopic aluminium manually operated work platform. 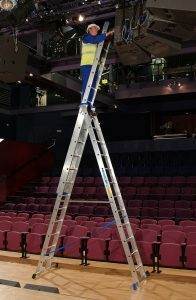 It is used extensively in the UK and elsewhere for one-person spot access, particularly in theatres, shopping malls, leisure centres etc. 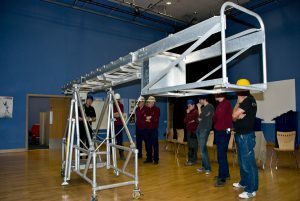 An unrivalled product providing a lightweight, manoeuvrable access product, quick to assemble and quick to operate. 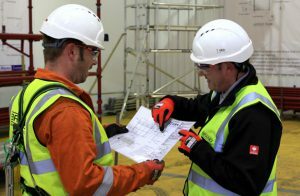 As well as manufacturing the Tallescope, Aluminium Access Products offers safety inspections and training for all access equipment. 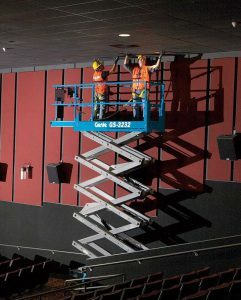 From step ladders to scaffold towers, Tallescope training to IPAF training, we have products and solutions to all of your access needs. 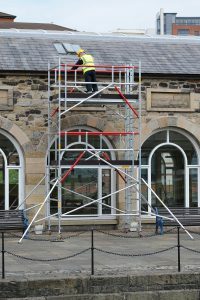 Our team of staff are here to help, whether you are looking to purchase a Tallescope or Scaffold tower, Step ladder or scissor lift. Our knowledge and competitive prices ensures that you receive the right product at the right price. 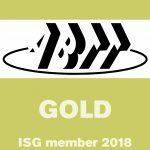 Our training division can offer you training courses to keep your staff certified in all fields of access equipment, Tallescope training, mobile access tower training, IPAF training, steps and ladders training, manual handling training are the most popular courses we offer, all of which can be done in house. 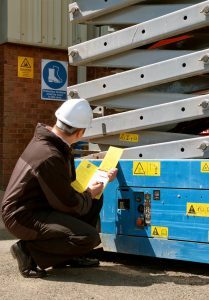 Our safety inspections on your access equipment can be carried out on site by one of our engineers, providing you with a safe to use, certified product. 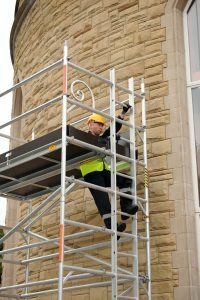 We carry out Tallescope inspections, ladders and steps inspections, scaffold tower inspections, Loler inspections, ensuring your equipment is certified and in safe working order. Have a look round our website for more details on what Aluminium Access Products can do for you. Or feel free to contact us for any questions or enquiries.